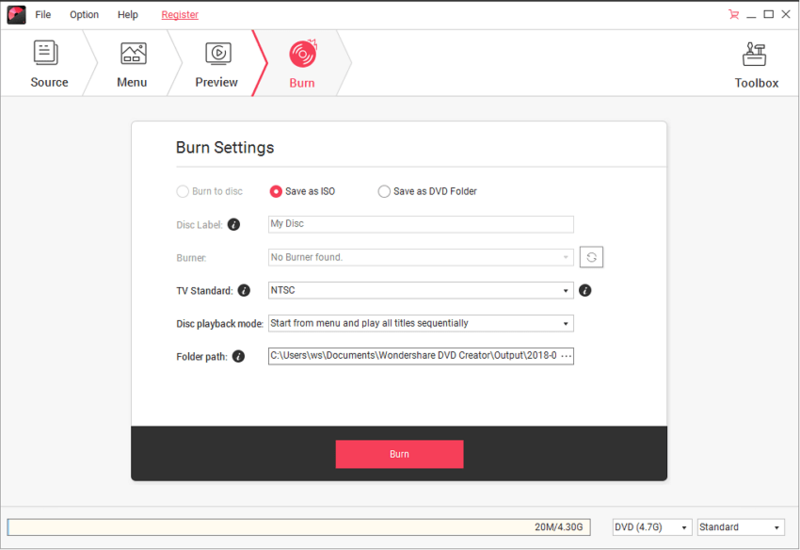 Burn MP4 video to DVD/ISO/DVD Folder/Blu-ray DVD on Windows 10/8/7. What is an ISO file? The optical disk has an archive file known as the ISO file. The ISO file is otherwise known as ISO image. This comes under the category of disc image which has a content of data present already in the optical disc. The ISO name later was picked from the ISO 9660. Basically, people consider burning MP4 to ISO files due to following 3 reasons. 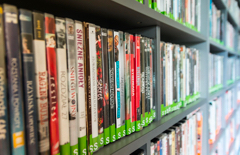 Firstly, many users like you would love to download some events or movies from iTunes. The default format available in iTunes will be MP4 and thus, we cannot run the movie directly using DVD. In such a case, you might want to convert MP4 to ISO. Secondly, in some other instances, the ISO files may need a larger storage to play out the movie and so to save your internal storage you would have to convert ISO to Mp4 for smaller size storage. Lastly, ISO is not the type of video format. Hence, users may need to choose MP4 to watch a clearer picture. In this article, we are going to discuss the conversion of MP4 to ISO and ISO to MP4 with proper explanation. One software which has its primary function to create the slideshow and convert MP4 to ISO is Wondershare DVD creator. This software has an exclusive free trial version and its name is recommended ideally for high-quality conversions along with the excellent progress of output. You are free to convert from one format to another without any restriction. A proper guidance is provided in the authorized website and there is no need to have sound technical knowledge to work with this DVD creator. It is pretty easy to use and there is no compromise on the quality of the converted videos when compared with the original one. This part is easy! Also, the editing tools of this software enhances the viewing experience of the viewer. Burn videos and photos to DVD/Blu-ray/BDMV/ISO file. Additional functions to burn data disc, convert ISO to DVD, make photo slideshow, one-click to burn MP4 to DVD, convert DVD to MP4 easily, and more. 100+ free static and dynamic DVD templates from Nature, Sport to Holiday theme. 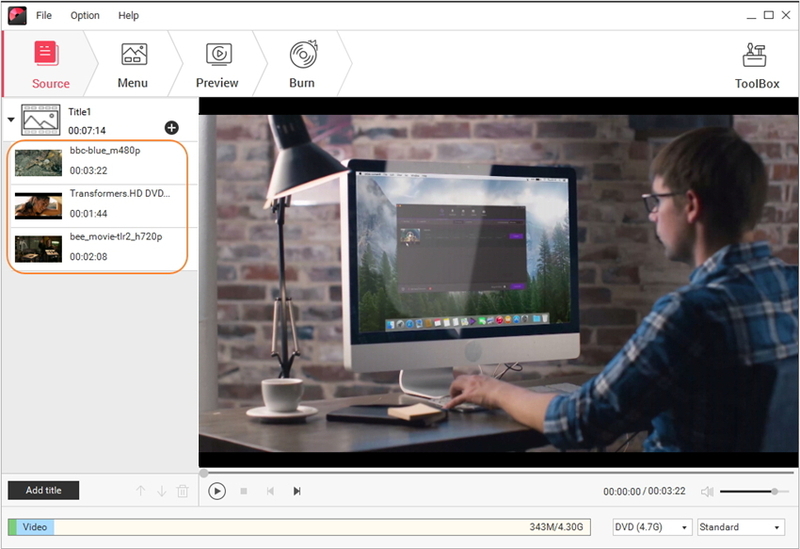 Built-in editor to personalize MP4 videos by Trim, Crop, Add subtitles/watermark, etc. Customize ISO files by changing background music or image, adding title thumbnail, creating chapter and more. As foremost said, with the help of Wondershare DVD creator, you can convert MP4 to ISO easily without any interruption. Now that we know a lot about this DVD creator, let us move ahead to understand the steps that help to convert MP4 files to ISO. 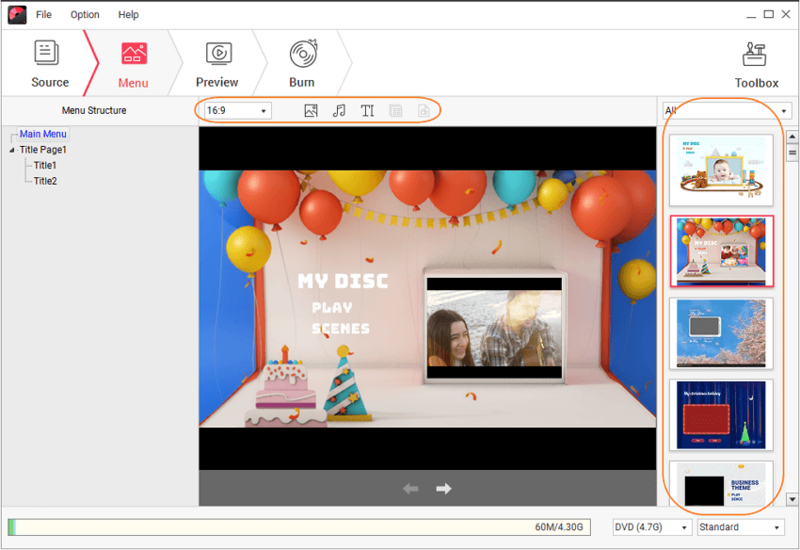 Download Wondershare DVD Creator via the download button above and launch it after installation, then choose Create a DVD Video Disc from the pop-up window. Then you'll get the primary interface just as the screenshot below. Click the + button to add MP4 files present on your computer, simply drag and drop files is also OK. Once the video has been added, a thumbnail will be shown on the left interface. If you want to edit MP4 video before burning to ISO file, just hit the pencil-like editing icon to access the video editor window, where you can crop and trim video, add watermark/subtitle, etc. Switch to the Menu tab and choose your favorite template on the right of the interface. Double click to apply one and hit the download icon to download more designs. You can also customize your template further with background music, picture, text and more by clicking related icons top of the interface. After finishing all edit, go to Preview tab to see if you're satisfied. Changes can be made by going back to the Source or Menu tab. Finally, move to Burn tab and choose Save as ISO option, click Burn button to convert the MP4 to ISO directly without any hassle. These above steps have been practically tested before launching the software. You have to follow only five steps which are mostly known and easy to use. Just try out the Wondershare DVD creator for best use! Think a second: What could be better more than Wondershare DVD creator? This might be quite a challenge for all other DVD creators. No doubt about it! In this part, we are going to deal with the conversion process of ISO file to MP4, but for this purpose we are going to introduce another product from Wondershare. This is due to the limitation of the DVD creator. This software is called Wondershare Video Converter Ultimate, which is a perfect tool to convert the ISO format files to the MP4 form. Wondershare Video Converter Ultimate is a full package. It has full codec formats which provides more strength to the conversion process including 4K H.265 and previous HD’s codec and more. Now, let’s take a close look at converting ISO to the MP4 procedure using the Wondershare Video Converter Ultimate software. First of all, download and install the program via the download button above, then follow the steps below. After installation, the main wizard will be opened. In the main interface, choose the tab Convert and add the ISO files by clicking the Load DVD button. You will get the drop-down list and choose load ISO files. Your local disk will be opened and choose ISO files from the local disk. Now select the output format as MP4, all you need is to click beside Convert all files to:, go to Video > MP4 and select a video resolution in the right. Once you finish the editing work, move towards the right end side of the panel. Then click on the Convert All button present below. That’s it! It is easy to convert ISO to MP4 for free. However please ensure that you follow all the steps in the right order. Friends! We have provided you with two different software to convert MP4 to ISO and also to convert ISO file to MP4. We hope that soon you will figure out that Wondershare DVD Creator and Wondershare Video Converter Ultimate are the best tools so far. Both these software are widely used and give the perfect result without compromising the quality of the media file after the conversion process. So, use the guide well and convert MP4 to ISO or vice versa.